Leveraging on our enriched industry experience, we are engaged in offering a huge gamut of HSD Tanks (Diesel Storage Tanks). These HSD Tanks (Diesel Storage Tanks) are very popular in the international market segments due to its renowned features such as its varying capacities, extended service life, dependability and are offered at leading prices. 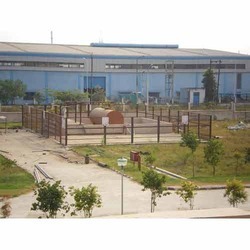 We offer these HSD Tanks (Diesel Storage Tanks) as per the needs of our global clients. Looking for Diesel Storage Tanks ?